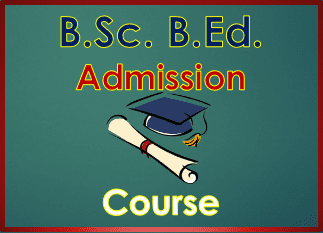 B.Sc BE.d Course Admission 2019 [4 Years Integrated Degree] NCTE Approved. B.Sc.-B.Ed. Integrated programme has been prescribed by National Council for Teacher’s Education (NCTE) and Ministry of Human Resource Development, (MHRD) New Delhi as compulsory qualification for teaching in Secondary and Senior Secondary Schools i.e. from Class 9th to Class 12th, even this is the alternative qualification for teaching in elementary education schools i.e. class 1st to class 8th. B.Sc BE.d Course Admission 2019 [4 Years Integrated Degree] NCTE Approved. The four-year integrated programme integrates general studies in science (content courses on par with those of undergraduate liberal programmes in science), and professional studies comprising foundations of education, pedagogy of school subjects, and practicum related to tasks and functions of a school teacher. It maintains the balance between theory and practice, and coherence and integration among the components of the programme, representing a wide knowledge base of a secondary school teacher. The programme aims at preparing science and mathematics teachers for upper primary and secondary stages of education. The four-year integrated course has been designed in view of the latest researches and experiments in the field of education. Besides having the latest knowledge in content areas the teacher trainees become well versed in pedagogy and communication skills which are integrated throughout the duration of the course. Candidates with at least 50% marks in the in the Senior Secondary/ +2 or its equivalent with Science stream are eligible for admission in Bachelor of Science-Bachelor of Education (Integrated B.Sc. B.Ed.) Programme. 5% relaxation for APST/ST/SC/OBC/PW candidates. Candidates seeking admission to Physical Science Group (PCM) must have passed with Physics, Chemistry, and Mathematics (PCM) (Mathematics stands for Mathematics or Statistics) and those seeking admission to Biological Science Group (CBZ) must have passed Physics, Chemistry, and Biology (PCB) (Biology stands for Biology or Biotechnology) at +2 level. Candidates must have passed +2 / Hr. Sec./ Sr. Sec. or any equivalent examination recognized by University/ Board with at least 50% marks in aggregate of qualifying examination (relaxation of 5% marks for SC/ST/PWD candidates). Candidates who have passed +2 / Hr. Sec./ Sr. Sec. or any equivalent examination in 2016, 2017 or appearing /appeared in 2018 only.